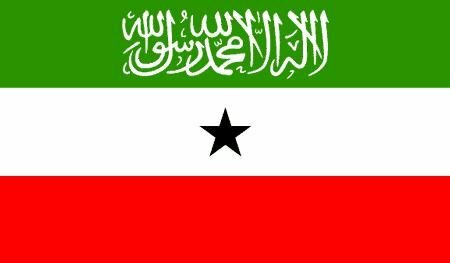 On the 11th of February, a delegation from the Republic of Somaliland led by President Silanyo met with the UK Foreign Secretary William Hague in London. A delegation from the Republic of Somaliland led by President Ahmed Mohamed Mahmoud Silanyo met with the UK Foreign Secretary, Rt Hon William Hague, at the Foreign & Commonwealth Office in London on 11 February. The President was accompanied by the Minister of Foreign Affairs Dr. Mohamed Omar, and the Minister of National Planning Dr. Saad Shire. President Silanyo took the opportunity to brief the Foreign Secretary about the present security situation in Somaliland, highlighting both the historic record of peace and stability that the country has enjoyed for over 21 years as well as the specific measures his administration has taken to consolidate and expand on these achievements. He thanked Foreign Secretary Hague for the generous assistance which the UK is providing to Somaliland, noting that support in fostering investment, improving the security sector and enhancing democratic governance remain vital to Somaliland's development and the region's stability. Both the President and the Foreign Secretary drew attention to the invaluable role that Somaliland plays in the fights against terrorism, noting that, the recent travel advice citing threats to western nationals in Somaliland will soon be revised as the security agents of both countries conclude their joint operations on those threats. Expressing gratitude for the UK's help in facilitating Somaliland/Somalia Dialogue, President Silanyo reaffirmed Somaliland's commitment and readiness to resume the talks with Somalia. Since its arrival on Saturday, the President's delegation has received a warm welcome by the UK government and the Somaliland diaspora community living in the country. The high-level protocol arrangements afforded to the delegation, as well as the presence of such a large, influential and well-respected Somaliland expatriate community in the UK, both underscore the deep historic ties and current cooperation between Somaliland and the UK.